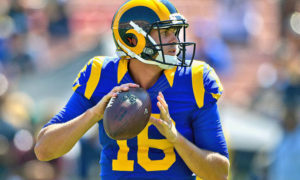 The Los Angeles Rams have some big decisions to make heading into the 2019 offseason. They have a few players on expiring contracts and a few positions where they need to bring in new blood. Here’s some frequently asked questions any Rams fan should have an answer to heading into the always-chaotic NFL free agency period. 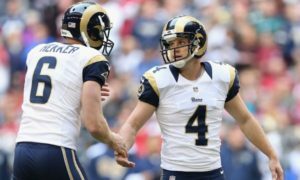 How much cap space do the Rams have? Currently, the Rams have $160.7 million committed to their current roster, giving them around $29.8 million in cap space. The Rams can’t spend every dime of their salary cap space. The NFL has a hard cap, and teams generally try to stay under the cap to avoid financial penalties from the league. 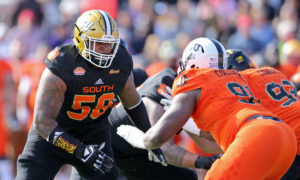 With the NFL Draft coming up at the end of May, the Rams will have to allocate some space for the upcoming rookie class. The Saints spent $5.76 million on rookies last season and also were without a second round pick. 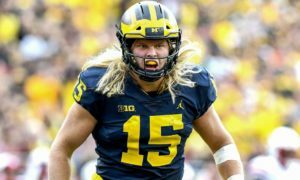 Unless the Rams trade out of the first round, expect them to sink around $6 million into their 2019 rookie class. Who can the team cut to save some cap space? Michael Brockers, Aqib Talib, and Marcus Peters will all make at least $8 million next season and could be cut with little-to-no cap hit, but I wouldn’t expect any of them to be released. They’re all valuable starters and leaders in the locker room. Replacing any of them would be easier said than done. John Sullivan and Mark Barron are two players who may be on the chopping block. Cutting Sullivan would save the Rams over $5 million, but the team would take a cap hit of $1 million in dead money. Barron’s contract is a bit more confusing, but the team would currently take a $3.3 million cap hit to save $6.3 million. It wouldn’t be surprising to see the team move on from either guy even with the cap hit, especially when it comes to Barron. Andrew Whitworth is another player to keep an eye on. The Rams are unlikely to cut the veteran tackle, but rumors have been swirling that Big Whit may be hanging up his cleats this offseason. 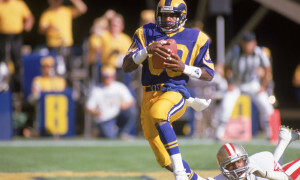 Whitworth retiring would save the Rams $11.5 million against a cap hit of $5.2 million. Still, the Rams would much rather have Whitworth on the roster next season, even if his retirement would save them some money. There are a few players near the bottom of the pay roll who can be cut at minimal cost, but most of them wouldn’t make sense from a depth or financial perspective. The only one who’s a likely cut would be Michael Thomas, who’s release would save the Rams $720,000 against a $29,000 cap hit. Which Rams are currently free agents? Rams’ free agents starters and key backups are the following this offseason: Ndamukong Suh, Lamarcus Joyner, Roger Saffold, Dante Fowler, Cory Littleton, C.J. Anderson, Malcolm Brown, Sam Shields, Sean Mannion, Matt Longacre, Troy Hill, Dominique Easley, Ethan Westbrooks, Blake Countess, and JoJo Natson. Do the Rams have any restricted free agents? For those unaware, a restricted free agent is a player who has played exactly three years in the NFL and is no longer under contract. The franchise who previously rostered said player has the right to match any contract offered to this player in the offseason. Additionally, the team can attach a draft pick tender at the cost of salary cap space. For example, if the Rams decided they wanted to attach a first-round tender to an RFA, $4.4 million in cap space would be held, and if the player signed with another team, the Rams would either match the contract or gain a first-round pick from the team who signed the player. Restricted free agents on the Rams include Cory Littleton, Troy Hill, Malcolm Brown, and Blake Countess. Expect the Rams to attach a tender to Littleton. I would guess it would be a second-round tender, which would cost the team $3.1 million. Will the Rams use their franchise tag? It seems unlikely the Rams would use their franchise tag this offseason. The most likely candidates would be Dante Fowler and Roger Saffold. 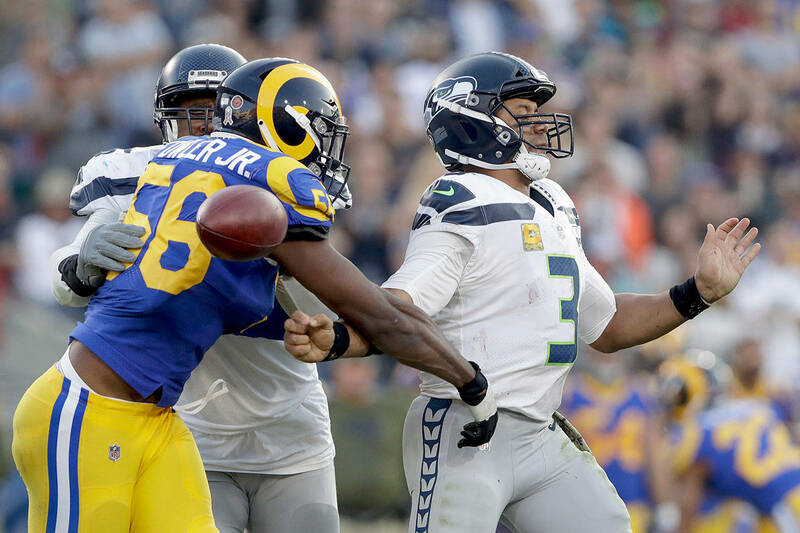 Fowler’s contract under the tag is expected to be a whopping $18.6 million and Saffold’s would be $15.2 million. It doesn’t seem likely the team would spend that much money on Fowler under any circumstances. Saffold is a possibility, but both sides would likely want to do more than a one-year deal. Lamarcus Joyner was franchised last year, so his cost would increase even more, and he simply wasn’t worth the money the team paid him last season. What are the team’s biggest positions of need? The Rams have a glaring hole at both inside and outside linebacker. Samson Ebukam and Mark Barron are under contract while Dante Fowler, Cory Littleton and Matt Longacre are all free agents. As we mentioned earlier, Barron is also a cut candidate. Expect the Rams to make a play at keeping one or both of Fowler and Littleton. If they can’t, this seems like the most obvious position to bring in a replacement through free agency. Offensive line is also a position of interest. 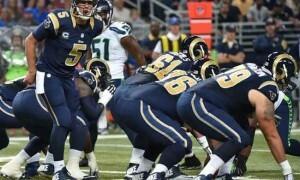 Saffold is a free agent, Sullivan could be a cap casualty and Whitworth may retire. There’s a world where all three are back next season, but there’s another one where none of them are on the team. 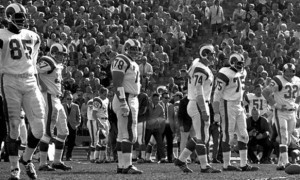 It’s too early to tell how much help the Rams will need at this position. 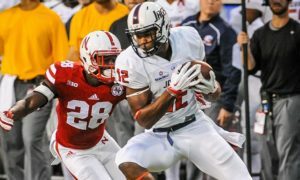 The team will have to replace Lamarcus Joyner in the secondary assuming he’s gone, but expect Les Snead to tackle this one through the draft. Snead has always done a great job at drafting safeties. 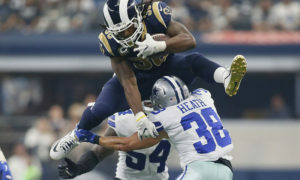 The position has felt like a revolving door of young and talented players during the Snead era. Both C.J. Anderson and Malcolm Brown are free agents, so the team may look to re-sign one of their backup backs. If they can’t come to a deal with either, they’ll have to decide if they’re comfortable with John Kelly and Justin Davis as the backup running backs. Don’t expect backup quarterback Sean Mannion to return next season. 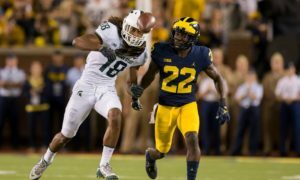 The Rams should look to fill this role with a late-round pick or a veteran quarterback on an inexpensive deal. When do we need to know about future Rams salaries? This is the final year the Rams will have Jared Goff on a cost-effective deal. 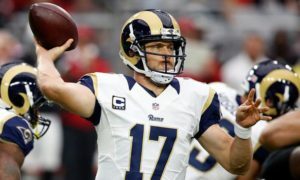 In 2020, the Rams will likely exercise their fifth-year option on their franchise quarterback, which will raise his salary from $8.9 million to somewhere in the $21 million range. The team will have to give him all the money in the world in 2021. Given the way quarterback salaries have been trending, Goff will likely net at least $30 million annually. The Rams will likely have room for just one more long-term, eight-figure contract to go with Goff, Gurley, Donald, and Cooks. 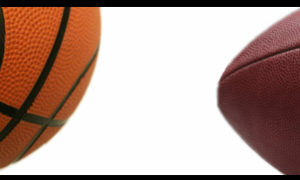 They may need to make a decision on what player that is sooner rather than later. For more information, check out my piece from October detailing the Rams’ salary cap situation in 2020 and beyond.